Now I just need to remove/clean up the lavenders that got run over by a car last fall, put in some additional plantings around it, and in a couple of years, hopefully, it will create that same sense of mystery. Very nice. I love hardscapes in the garden. What I really like is the fence you have there, not overpowering but a nice addition, especially the cute garden gate. Good work. 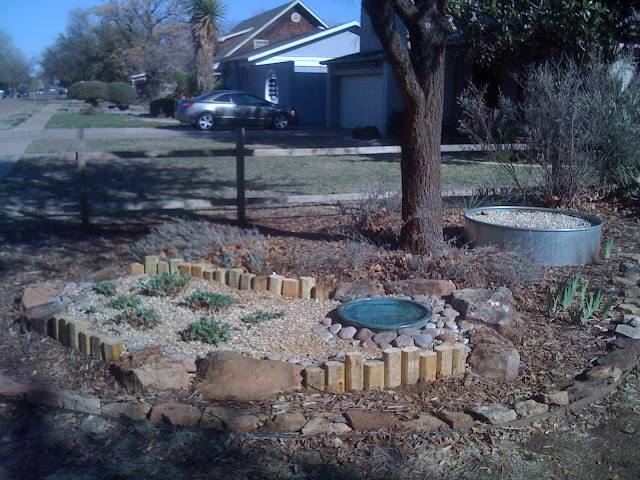 Great idea to make the opposite sides of the garden similar. I call them 'ruins beds' when I'm evoking memories of old structures when using chunks of bricks and mortar from an old chimney. 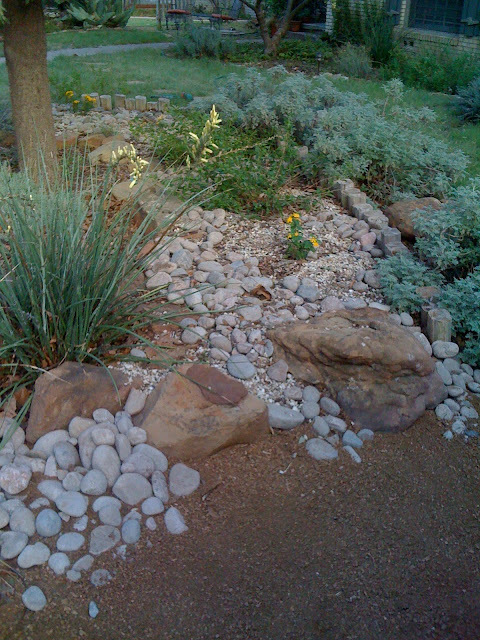 The bed in the first photo is just terrific ... love the pebbles, the stones and the planting. It will be great to see how your second bed develops ... love your work. 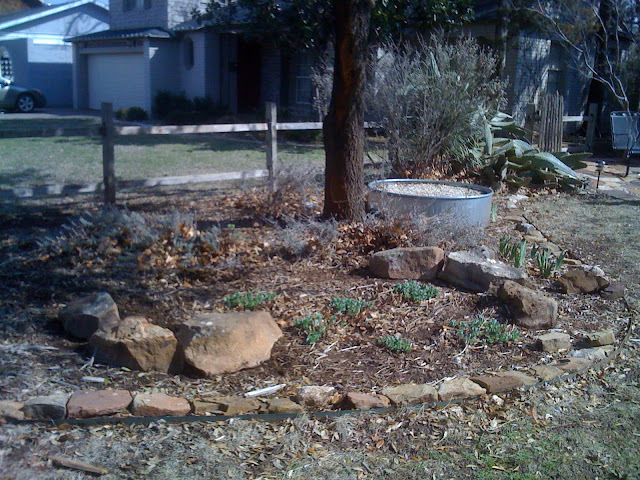 Nell Jean--"ruins beds" is a perfect name for it. Excellent. This post - the almost 'disappeared' remnants...reminded me of a behind-the-scenes tour I got once of the Savannah River Site (here in SC). A town, Ellenton, was on the site - and the town was moved and renamed 'New Ellenton'. However while walking around the site you sometimes come across a remnant of a home or garden or walkway - a shrub that would have to have been planted. I've neglected hardscapes in my own garden - we're a sandy place, this coastal garden, and although I've been bringing back large mostly quartz rocks from Virginia - I'm envious of your lovely rocks in your bed - those rocks look like their own little river.